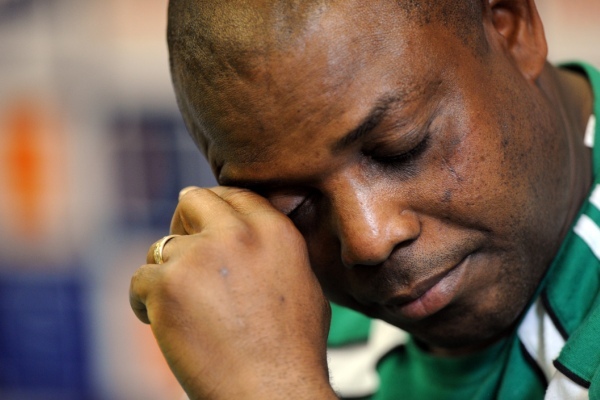 Former Nigeria coach Stephen Okechukwu Chinedu Keshi died in the early hours of Wednesday in Benin City, Edo state. His full name was Stephen Okechukwu Chinedu Keshi. He was born on January 23, 1962. He hails from Oshimili North Local Government Area of Delta State. He played as a defender for Super Eagles of Nigerian and several football clubs. Apart from the Nigerian national team, Keshi coached the Togolese and Malian national teams. He is the only coach to have taken the Togolese team to the World cup championship till date. The first football club he ever played for was ACB Football Club, before joining New Nigeria Bank, Stade d’Abidjan, Africa Sports, Lokeren, Anderlecht, RC Strasbourg among other clubs. From 1981 to 1995 when he stop playing international football for Nigeria, Keshi appeared 64 times in the Eagles colour and scored nine goals in total. He served as head coach for the Junior Eagles at the 2001 African Youth Championship. He spoke French and English fluently. Keshi was one of only two soccer stars, along with Egypt’s Mahmoud El-Gohary, to have won the Africa Cup of Nations both as a player and a coach. He won the African Nations Cup in 1994 as a captain and as a coach in 2013. His wife of 33 years, Kate died on December 9, 2015 after losing a long battle with cancer. Keshi is survived by four children and his mother.